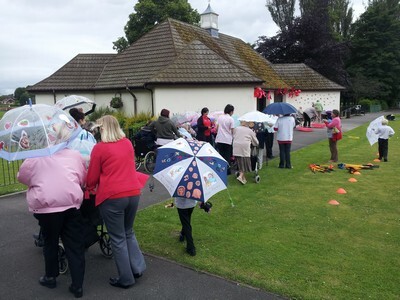 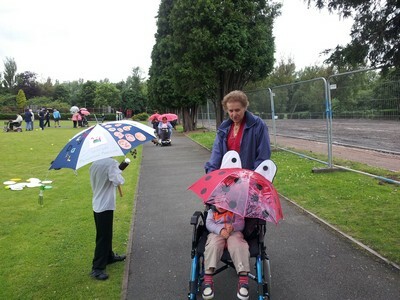 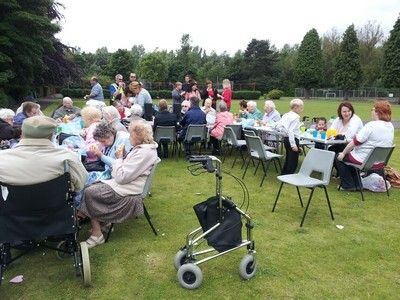 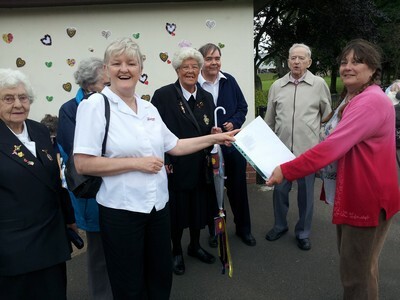 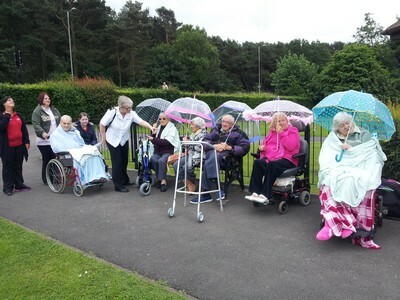 On Wednesday 3rd July 2013 the staff from School Court Elderly Residents Home provided a lovely event in Hednesford Park. 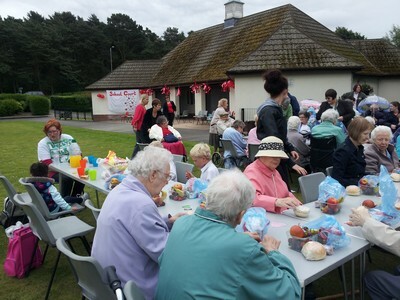 It was such a success we would like to support the event again next year, but provide it on a Saturday so that more of the public can participate. 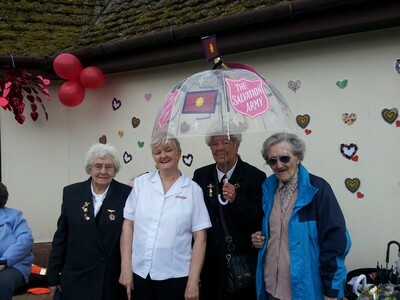 Different representatives from the community met at the Pavilion at 10.30am, armed with their umbrellas ready for the walk at 11am. 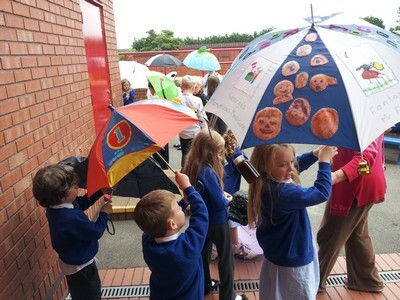 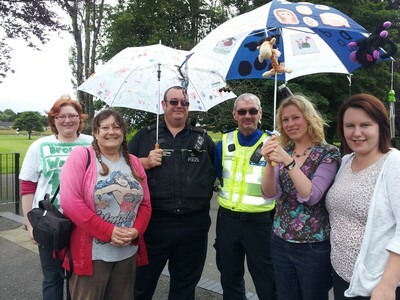 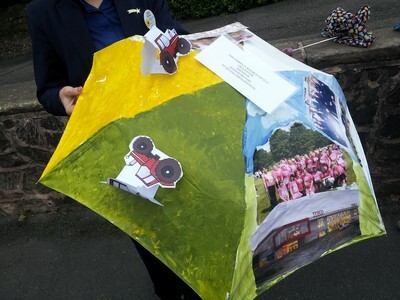 Hednesford Tesco Stores brought a delightful brolly made by Melissa Smith in Customer Services, it was accompanied by the Community Liason Officer Rachel Hodson and other members of staff. 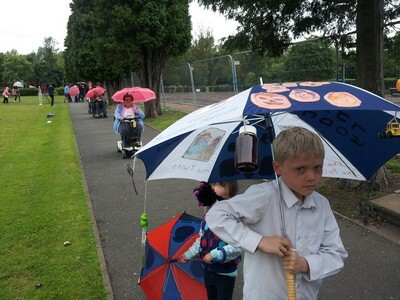 (Tennis court renovation work well underway in the back ground of ABOVE CENTRE photograph) ABOVE RIGHT are shows the tremendous effort by the West Hill Primary School After School Jackanory Club who made their brolly with the theme of Roald Dahl.